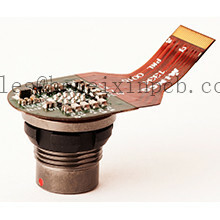 Product categories of Flex Printed Circuits Assembly, we are specialized manufacturers from China, Flexible Electronics Assembly, Flexible Circuit Assembly suppliers/factory, wholesale high-quality products of Flexible Circuits Assembly R & D and manufacturing, we have the perfect after-sales service and technical support. Look forward to your cooperation! Hemeixin PCB helps major corporations and small firms fulfill their Flex Circuit and Flex Printed Circuits Assembly & Pcb Manufacturing needs. With more than 15 years of experience, Hemeixin PCB` turnkey PCB solutions take clients from concept to production in a fast, convenient, and professional manner.